TL;DR: Just click here to go to Fasho online t-shirt store and order your #slay t-shirt right away. "Not every time scold a business in your articles Hafiz. Sometimes, be nice please and commend someone"
Well. Since I already rank well for suits in Nigeria, I might as well aim to do the same for t-shirts. So, here we go. At least, five times within the past six months, I've approached Google with the sole intention of finding a good place to buy t-shirts online. More or less, an e-commerce store that focuses solely on t-shirts. T-shirts are my choice piece of clothing because they're easy to wear, easy to clean and generally need no ironing #lowMaintenance. And I want to show off my lack of a pot belly. Yes, online stores like Jumia and Konga sell t-shirts and everything else on the surface of this satanic earth. But I found that the price of t-shirts on those platforms can be quite varied and are generally on the high side. Each of the times I tried, my Google search generally came back void. 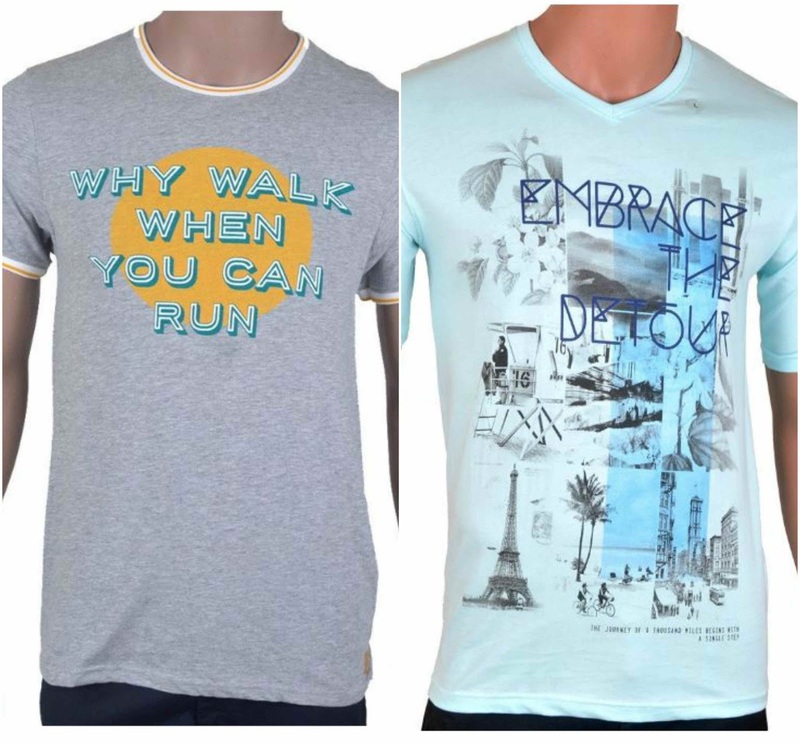 The closest I found to a niche t-shirt store in Nigeria was T-shirt factory. I was excited when I saw the name but on visiting the website, I found out that they only do custom t-shirts in bulk. T-shirt factory was definitely not the e-commerce store I was looking for. Early this March was when I happened upon Fasho t-shirt store. They'd been mentioned in the daily Techcabal newsletter which I read almost every day. As soon as I saw it, I rushed off to check the website out. Let me just cut to the chase, I was impressed. Modern, simple and intuitive UI. The first and only thing you can do on the site's homepage is to select your t-shirt size: Small (S), Medium (M), Large (L) or Extra Large (XL). As soon as you make a choice from the drop-down list of sizes, the site loads up what I would describe as an endless array of t-shirts. T-shirts of different colours, different designs and different styles, with the price of the shirts ranging between 2500 and 3000 Naira. After a few minutes of scrolling down as far as I could through the photo grid of t-shirts, I finally made two picks, entered my delivery details and opted for POD (pay-on-delivery). Interestingly, delivery fee was 500 Naira only. One thing that often dissuades me from shopping online is the delivery fee which is sometimes quite exploitative. If you buy three different items on Konga, more often than not, you would pay three different delivery charges. The minimum delivery charge per item being 500 Naira and it could be higher depending on what it is you're buying. Well, I understand it's because Konga is only a middleman in such transactions, but then, I don't care. Of course, I chose POD because I didn't want to be stuck in case the shirts did not meet my expectations; quality and fit wise. I think the same day or so, I got a call from the founder (Rotimi) who had posted about his t-shirt store on Techcabal's Radar. He was calling to confirm that the order was real and I assured him that I wasn't just playing around. The price of my order of 2 t-shirts was 5900 Naira, inclusive of delivery. My order arrived at my office a couple of days later. I got the chance to try out the t-shirts in front of the restroom mirror while the delivery man waited. It turned out that both shirts fit just right, which was like a first for t-shirts I ordered online. I quickly returned to the delivery man to make my payment so he could carry on with his day. "Today is the last time I would wear a BYC t-shirt as a regular t-shirt from a lack of t-shirts to go around every day of the week", I thought to myself. I always remember the day (a few months back) that I was mocked by my colleagues for wearing a BYC shirt to work. My t-shirts from Fasho. No paint-brushing. Great user experience in that the website is clutter-free and shows you only what you need to see by default. That stems from the fact that Fasho is a niche fashion store, focused on t-shirts as opposed to fashion in general. Also, the fact that the first thing you're asked to do on the site homepage is select your size means that you won't see any t-shirts which are not your size. Cool right? I actually just discovered a killer point which makes all of the sense in the world. See this line from their about page: "Tees on our site are usually available in only one piece and in only one size. But we do have a big collection, so we are sure you'll find something you like". So, I just went to check the store now and true to that claim, this shirt and this shirt which I bought are marked "Sold Out". I like that because it means that the chance that I'll run into another bro with the same shirt in Lagos is tiny. There you have it. If you hate the hustle of fashion shopping in the Lagos Island markets: Eko Idumota, Balogun market and CMS or even Yaba market, you should definitely try this out. A few days after I received my t-shirts, Rotimi called for feedback on my order. Needless to day, my feedback was positive. I also told him how much I'd love to patronise a niche store which carries other casual clothes like shorts and jeans at the right price, just like his t-shirt store. He told me his warehouse is in Lagos island and that for now, they only deal in t-shirts but are looking at dabbling into other areas in the near future. I can't wait till they do because if I had my way, I would never step foot in any Lagos market again. The traders waste your time, are out to cheat you, leave you completely knackered and in the end, you find out that your choices were not necessarily the best and unfortunately, there is no option for return. Honestly, Fasho online t-shirt store's win over the traditional offline method of shopping for tees is just too obvious. I'm also sell Roundneck t-shirts although its a small business but the goal is for everyone to be able to effort a t-shirts. They range from 2000 to 3500. I'd really love if you could check my page on IG @hamdels_place.